Let’s talk about kinship. Do you have a sense of kinship with others? Who does it extend to? Those who are lovely as well as the despicable ones? Where does your heart draw the line? I think it’s a fundamental question. When I first started working as a community organizer ten years ago, I was quite the recluse. I didn’t even like to hang out in my front yard because, horrors, I might be compelled to make small talk with a passerby. Now I have a Little Library and Poetry Box at my curb. These resilience building devices draw people to the edge of my property, to the edge of my awareness. I’ve gotten better at small talk: I’ve learned to weather interactions with all manner of folks. More significantly, however, these hedgerow activities (as permaculture would call it) have changed how I perceive myself. Now I’m known in my neighborhood. I belong. I am a factor, a feature, an actor in an ecosystem. 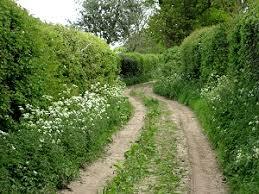 Because this hedgerow culture generally creates goodwill, I feel protected. Whenever you interact with the public, you’ll encounter bad behaviors. The trick is to not let them discourage your generosity, your civic engagement.